Italian educator Maria Montessori observed the behavioral and educational patterns of young children and concluded that by the age of two years old a child is at the beginning stages of his intellectual and personal journey. What he does or does not do during the next four to six years will substantially shape his future. Our combined Reggio and Montessori program provides the crucial framework a child needs to make the most of these precious early years. The most important part of life is not the age of university studies, but…..the period from birth to the age of six. For that is the time when a man’s intelligence itself, his greatest implement, is being formed. Our “Prepared Environment” is designed to meet the highest standards of a westside Montessori preschool in Culver City (close to Mar Vista and Santa Monica). Children can choose freely from easily accessible educational materials made out of wood, ceramics, metal or glass. Montessori materials are self-correcting, meaning a child can use them independently without the constant approval of the teachers. Is this way, learning becomes a natural self-reinforcing process. Multi-age classes allow the teachers to develop close and long-term relationships with their students. 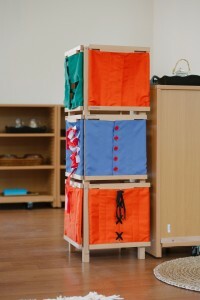 Grouping children by stages of development rather than by chronological age is also the best way to stimulate learning. Each class encompasses a wide range of developmental stages, which lets each child carve out his own individual learning path. The Kids Collective curriculum is designed to support the wide range of developmental abilities, giving each child the opportunity to learn at his own pace. Skills learned include how pour water, tie their shoes, prepare snacks or clean up after themselves. These activities enable children to be independent and accomplish the desired task, contributing to a growth in confidence and self-esteem. A child will become an eager learner and seek out new challenges. By carefully observing step-by-step presentations by the teacher, the child develops concentration and increased attention span that he will later need for more complex exercises. Children use and develop all five senses by using sound cylinders, smelling bottles, baric tablets, mystery bags and a fabric box, to mention a few. Montessori found that the best way to help children sustain concentration is by presenting them with fascinating materials. Kids Collective provides all the materials your child needs for his journey toward becoming a careful observer and an independent, conceptual thinker. We incorporate sandpaper letters, sound games and opposites. For a preschool age child building his vocabulary, learning how to read and write is the most important academic skill he needs to acquire. Montessori describes “sensitive periods” as the most crucial time when children are naturally interested in a certain topic. At around age three-and-a-half children are intrigued in the sensation of language, including sounds and the movement they need to create letters. Kids Collective teachers start with the exercises that are all precursors for reading and writing. By the time each child graduates he will be reading typical children’s books. 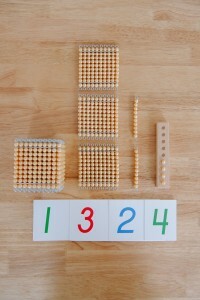 Children learn about numbers through hands-on techniques using concrete materials, such as the golden beads, which represent the hierarchy of the decimal system, spindle boxes and sandpaper numbers. Teachers introduce children to the fascinating world of numbers through enjoyable activities that are carefully designed to impart mathematical knowledge. At Kids Collective we give children the confidence to do math on their own and, most importantly, enjoy the process of doing it. Kids Collective offers students the opportunity to “travel” and explore the world within the classroom. Our materials include beautiful puzzles of continents and countries (geography), animals (zoology) and plants. Students are also introduced to the concept of time, history and science.